"Who's the hot mess now?"?€? (Iron Man 3) Pepper to Tony after the battle in the Roxxon Oil Rig. Well what we are going to make for all the female Iron Man fans is not the Mark 42 suit that Pepper wore for 2 times in the movie Iron Man 3, but the rescue armor that Tony Stark built exclusively for her. 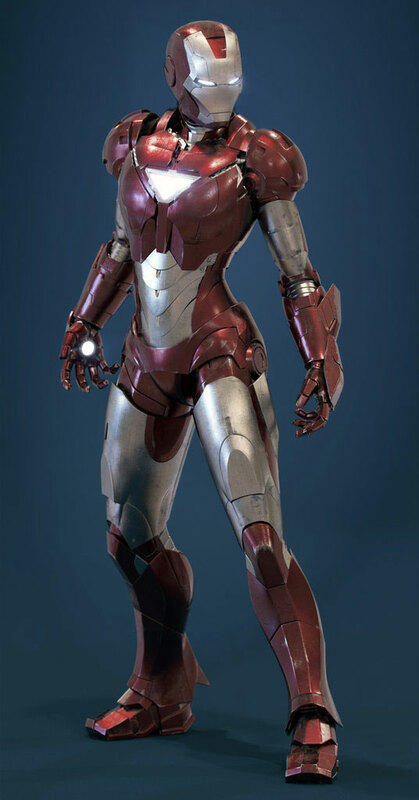 Generally speaking we are making the female Iron Man suit according to the following virtual design from internet. This entry was posted in News and tagged Iron Pepper Potts suit,Iron Pepper Potts costume,Iron Pepper Potts cosplay,Iron Woman costume,Iron Woman suit,female Iron Man suit,female Iron Man costume,Iron Pepper Potts armor,Iron Woman armor,female Iron Man armor on Nov 09,2014.